Stamping (cover & spine): gold, copper, white, or silver foil. Choose the positioning of your foil stamping within the editor. Two years in the making, we set out to create a photo album handcrafted for cover-to-cover awe. 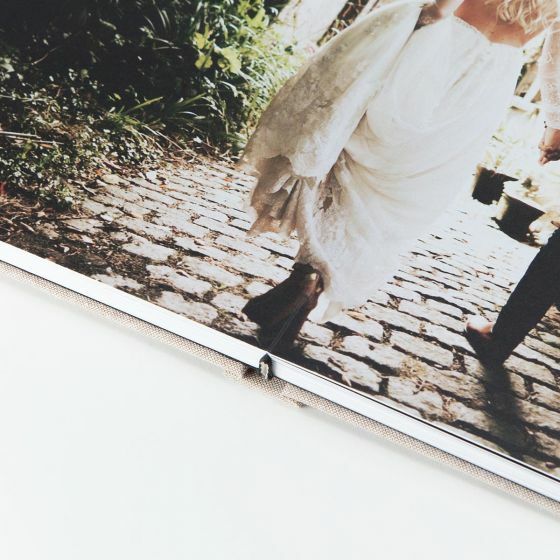 Our Layflat Photo Album features professional-grade, ultra-thick pages and a customizable foil-stamped cover. 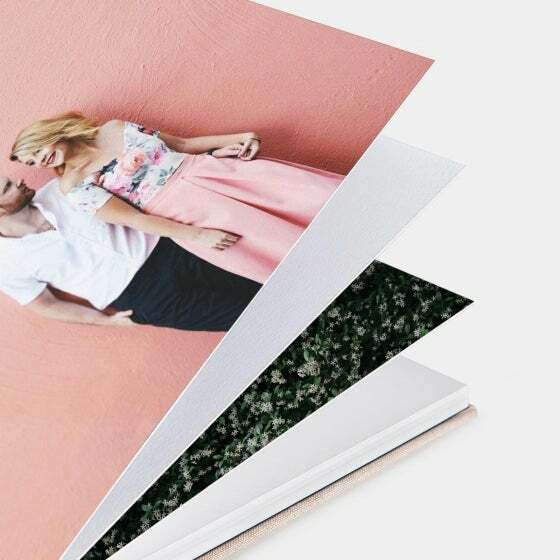 Move your photos off your device and into your life with our premium Layflat Photo Album. Two years in the making, we set out to create a photo album handcrafted for cover-to-cover awe. 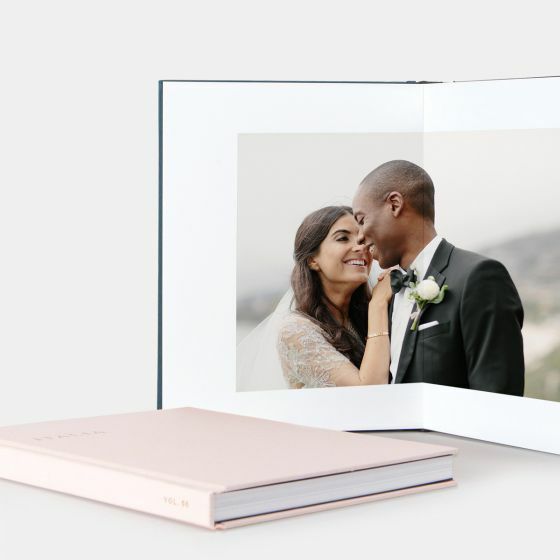 The Layflat Photo Album is inspired by our favorite heirloom albums — renowned for its ultra-thick pages that lay flat when open and its hand-stamped covers, this a book you'll want to pass down through generations. 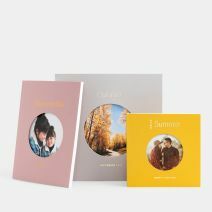 Get started with as few as 10 of your favorite photographs and build your album to feature full page spreads, or add photos on up to 70 pages for a truly standout album. 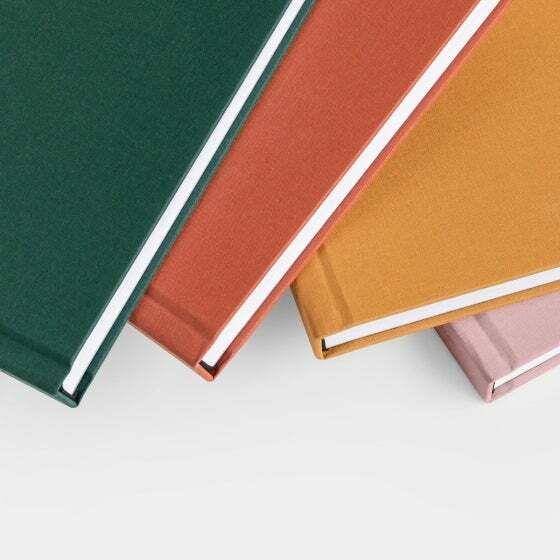 Each page is hand-mounted with professional grade Mohawk paper in either lustre or eggshell finish. The hand-stamped cover and spine come in gold, copper, white, or silver foil and a number of design options so you can customize to suit any occasion from wedding, travel, to professional portfolios. 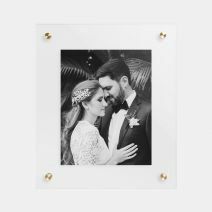 For future brides and grooms, we offer a Wedding Guest Book that combines everything you love about our Layflat Photo Album with added space for guests' signatures. 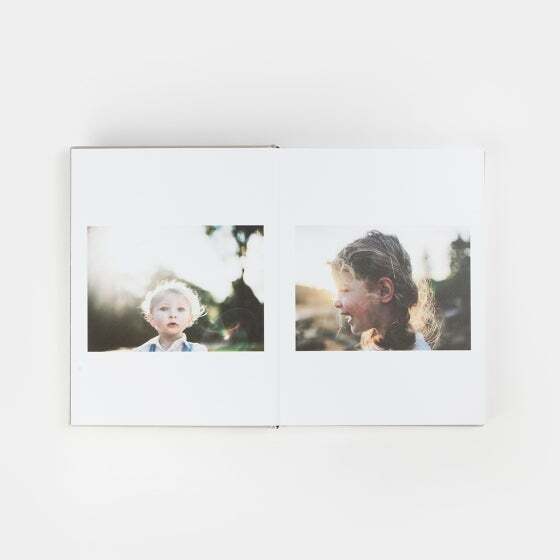 It's easy to customize your book using our desktop editor with multiple options for uploading your photos, allowing you to sync them from your computer, Dropbox, or Instagram. 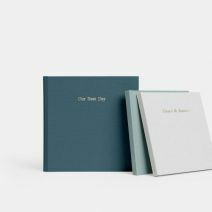 If you're looking for more tips on creating your album, head over to our Insider's Guide to Building Your Best Photo Book Yet . Your custom layflat photo book will be ready in 10 days plus shipping time and comes inside a premium keepsake box perfect for gifting.